The original trucking industry in this country is the Railroad. Since the 1800's, it has been the back bone of our nations transportation infrastructure. Moving both people and freight long distances in a quick and efficient manner. 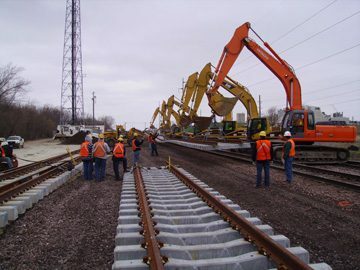 At Reilly Construction, we are no strangers to the special needs and requirements of Railroad work. Our specialized crews come to the project with the knowledge and experience to get the job done. Our people have the necessary task and safety training required to perform this very special type of work. At Reilly Construction, safety is our top priority. Our extensive safety program includes training classes specific to each railroad, but it doesn't stop there. Our on staff safety professional makes frequent visits to the project to make sure that everyone is working safely. Our crews can do it all from grading the beds for new rails, sidings, yards and even cutting in new switches on active lines where timing is everything. 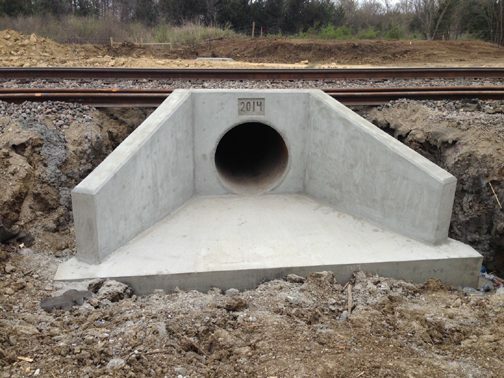 Call on Reilly Construction to get your railroad project completed safely, on time and on budget.